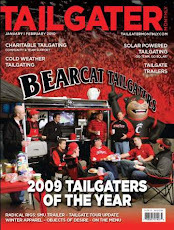 This site is mostly dedicated to Cincinnati Bearcat Athletics but I couldn't help but shoot some video of the various Tailgating Vehicles surrounding Paul Brown Stadium on Saturday. Enjoy!! Untitled from Scott Oyler on Vimeo.